Robbie Bach, president of Microsoft's entertainment and devices division, has claimed around 80 per cent of all third-party games publishers are working on Project Natal related games. 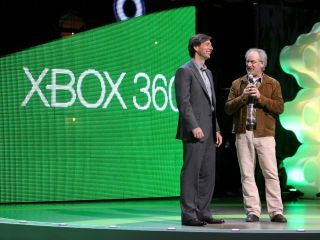 The Xbox boss told CBC News at CES: "Part of the reason we showed Natal at E3 — which is actually a little bit risky to be honest because it's a new technology, very cutting edge and relatively early in its development — is that we wanted third-party publishers to know that it was real and we wanted them to have developer kits and to get them working on it. "We have something like 70% or 80% of the publishers in the world already doing Natal-based games. Our first party studios are [also] very focused on this. We want to have a few titles from Microsoft that show the way and then we want the breadth and power of the ecosystem from our partners to bring lots of new ideas, new innovations, new concepts to the marketplace. "Xbox games don't go away; you have to think of all this as additive. I think it adds to the beauty of what's going on." Bach also doesn't see a situation arising such as that with the Nintendo Wii – where publishers are shying away from the format as it isn't making them enough money. "I think it has a little to do with the trend towards natural user interface and much to do with differences in the business models between Nintendo and Microsoft and Nintendo and Sony," Bach said. "Our model is certainly about third-party publishers making money. We design our system for third-party publishers. We use our first-party business — Halo, Alan Wake and those sorts of things — to show people the way and to drive innovation. Nintendo, and this is no disrespect, just has a different model. "They make most of their money through first-party games that Nintendo produces. That's absolutely their business model. And it's a great business model, it's just different, but it makes it hard for third-party publishers."